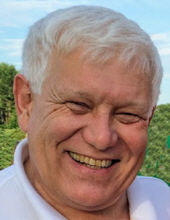 Paul Brian Donnellan passed away suddenly in Ghent, NY on January 24, 2019 at age 69. He was born April 8, 1949 in Brooklyn, NY, son of the late Viola and Will Donnellan. sister Marirose and brother-in-law Gerry Rehagen, sisters-in-law Mary Lou Donnellan and Linda Donnellan, nieces Anne Donnellan and Anne Emberson; nephews Brian and Chris Donnellan and David Rehagen. He was predecesed by his brothers, Gregory and Roger. Paul grew up in Queens in a family of New York City firefighters. He turned his gifts for science, math and engineering into a career that ensured delivery of water to the citizens of New York. Paul was a civil engineer who served for over 31 years in the New York City DEP Water Supply Operations including Shaft Maintenance and Distribution, and worked on City Tunnels One Two and Three over the course of his career. A graduate of Brooklyn Tech and SUNY Empire State, Paul was an avid private pilot and equally enthralled by Roman engineering, quantum physics, road trips with his family, and the antics of his beloved granddaughters. Calling hours will be at the French, Gifford, Preiter & Blasl Funeral Home from 4 to 7pm on Monday, January 28th. A mass of Christian Burial will be celebrated today, Tuesday at 11am at St. James Church, Chatham, NY. In lieu of flowers, his family invites you to make a memorial donation to support the science program at the Jesuit-sponsored St. Ignatius middle school in the South Bronx www.sis-nativity.org. Condolences may be conveyed at frenchblasl.com. To send flowers or a remembrance gift to the family of Paul B. Donnellan, please visit our Tribute Store. Guaranteed delivery before Paul's graveside begins. There will be a memorial celebration at Saint James. Guaranteed delivery before Paul's service begins. "Email Address" would like to share the life celebration of Paul B. Donnellan. Click on the "link" to go to share a favorite memory or leave a condolence message for the family.